Legendary former UFC champ Anderson Silva will return from a two-year absence when he meets surging Israel Adesanya in the co-main event of this weekend’s (Sat., February 9, 2019) UFC 234 from Rod Laver Arena in Melbourne, Australia. 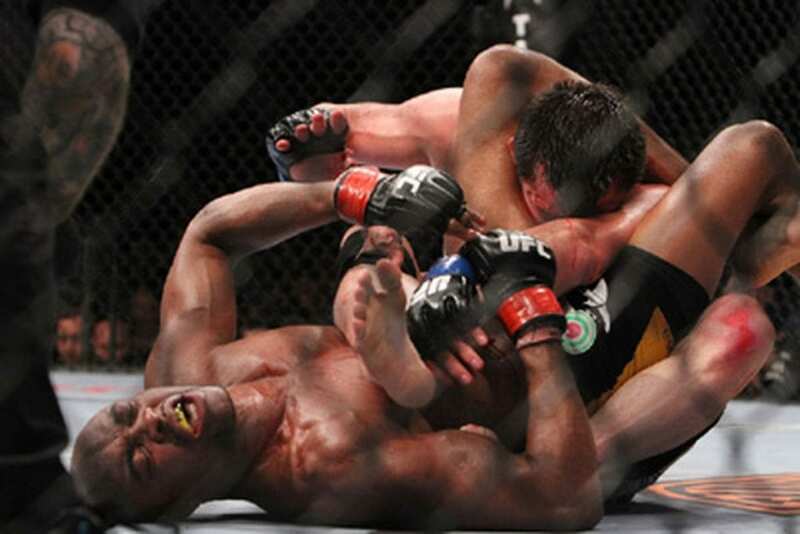 We took a look back at Silva’s best UFC finishes to celebrate that fact. Few are giving the 43-year-old veteran much of a shot at toppling ‘The Last Stylebender.’ But while he may be nearing the end of his historic career, it seems Silva has fallen out of the limelight as new stars have arisen during his downward turn. That’s, of course, the natural progression of the UFC. With each big event that passes these days, it seems like the champion of the hour is instantly inserted into the debate for GOAT. That’s made the discussion a bit diluted. It also means accomplishments are rapidly thrown away for the next thing. But there was once a day when the discussion was much, much more clear-cut. Silva ruled the day with his creative, shocking, and one-of-a-kind finishes to reign as the unquestioned pound-for-pound king. In context, that was during a time when Georges St-Pierre was in his prime. ‘The Spider’s’ victories were simply astonishing. You may remember those days with a fond reverence, or you may not have been a fan of MMA at all back then. 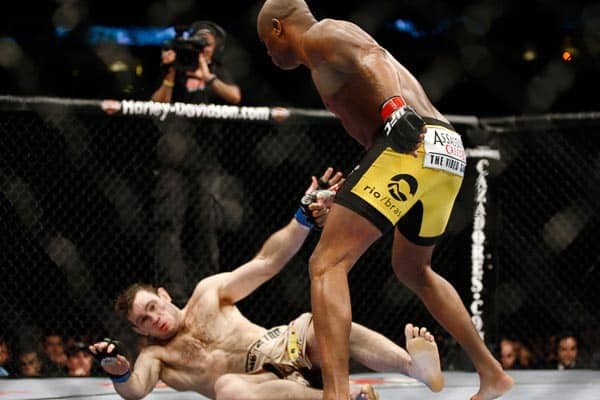 Nevertheless, we looked back at Silva’s best UFC finishes in the twilight of his career. Silva faced off with legendary Pride two-division champion Dan Henderson to unify the UFC middleweight and Pride world welterweight championships in March 2008. Looking back, it was a match-up of historic proportions. That alone made it one of Silva’s greatest victories as a result. It was also a unique one. Obviously known for his lethal Muay Thai skills, ‘The Spider’ used his underrated grappling skills in this fight. “Hendo” was unable to fell the UFC champ with his vaunted H-bomb. His Olympic-caliber Greco Roman wrestling skills also didn’t play into the result much either. Instead, Silva used his Brazilian jiu-jitsu to ensnare Henderson’s back like an anaconda in South American waters. This was the UFC’s introduction to ‘The Spider,’ and what an introduction it was. Silva came into the UFC with a decent amount of fanfare for that era. He immediately shot his starpower into the stratosphere in this fight. Leben was a tough, respected veteran of the game. ‘The Spider’ made him look silly. Using the Muay Thai skills that made his opponents believe eight limbs were coming at them, Silva stalked Leben down with a vicious assault of confusing, unstoppable offense. This just may be one of the most defining fights in UFC history looking back. That’s merely due to the fact that this was where Silva’s still-record title reign began. Franklin was knocking top names out left and right during this era. When ‘The Spider’ made his way to the Octagon, that all changed quickly and violently. Silva’s striking was clearly on another level as he bludgeoned Franklin with perhaps the most violent knees in UFC history from the vaunted clinch. He badly broke ‘Ace’s’ nose, and the UFC’s greatest title reign began. There’s not much else to say about this shocking win for ‘The Spider’ a month after the historic UFC 100 in summer 2009. Griffin was a light heavyweight champion, but ‘The Spider’ made him look silly. Dodging Griffin’s seemingly foolish attempts to hit him with kinetic ability rivaling ‘The Matrix,’ Silva knocked the befuddled fighter to the mat with one precise jab. One of the toughest men in all of MMA, Griffin threw his hands up in the air in MMA’s version of ‘No Mas.’ Legendary stuff. This battle of Brazilians featured one of the most iconic kicks in UFC history, something Silva was becoming known for after nearly five years as champion. We’ve come to find out that ‘The Phenom’ was almost assuredly on some “extracurricular” substances in this timeframe, but that didn’t matter to ‘The Spider.’ He landed a laser of a front kick right down the middle on Belfort, knocking him out and leaving the crowd with their jaws agape. This was ‘The Spider’s’ seventh consecutive UFC middleweight title defense. 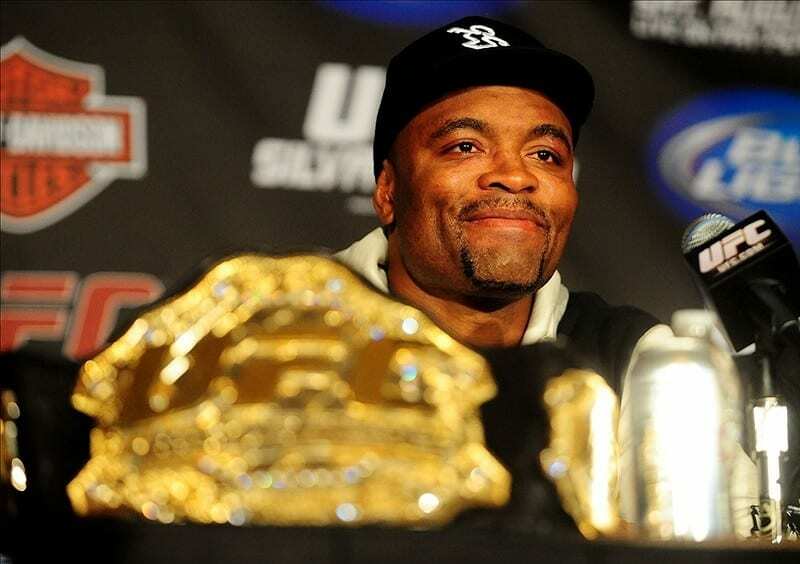 This may be Silva’s most iconic victory in his most high-profile rivalry. ‘The Spider’ was mainly dominated by Sonnen’s nonstop wrestling attack. 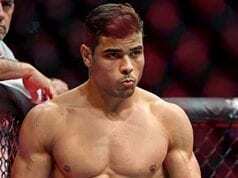 He reportedly came into the fight with a broken rib that hindered him. Regardless, Sonnen took Silva to the mat at will for the better part of five rounds. After one of the most heated trash talk buildups in UFC history, Sonnen had backed it up. He battered the sport’s biggest star and was easily on his way to a clear sweep on the scorecards for a title-sealing win. However, Silva didn’t give up. At 3:10 of the final round, he threw up a desperation triangle choke that caught hold and forced Sonnen to tap. Unreal, and a testament to Silva’s heart as a fighter that complimented his once-in-a-lifetime skills.